Mees Bus covering 2/6 trips today (29-5) while 1/6 trips cancelled - no sign of 12:3 or 14:05 282 trips. Hardly surprising given it seems to be the first against the wall when there's an issue. Optare Solos were moved to other routes during the first period of unroadworthy vehicles with some runs on the Mover cancelled as a result. I can't recall if the same thing happened during round 2 but quite likely. Now this time where either the Solos are proving unreliable, or being moved elsewhere to cover for other unreliability or to allow other buses to make money on rail replacement. To be fair to Transdev the Plasmas caused dramas for both NBC and Transdev, and good on Transdev for replacing them despite not being all that old. If I recall correctly, didn't the Manningham Council provide some financial support for the route when it was set up from the small infrequent routes originally provided under NBC? Have I got this wrong, and if not, do they still contribute financially to the route? If I was paying money out of council funds and the service wasn't being provided, and worse to the detriment of the viability of the overall service, I'd be asking questions and asking for some of that money back. I am pretty confident the 280/282 are worked(or not worked as is the case very regularly)under Transdev's Melbourne franchise contract.The big question remains why aren't PTV doing something in regards to not only the 280/282 but the standard of the entire service.It really does make you wonder ? And puts into question the PTV'S competence. I travelled on a couple of Mees buses this week on the 280. According to the Transdev guide, they are having trouble getting parts for the Solos. Skybus and Carbridge too ,krustyklo. I haven't heard anything paticularily negative about the Solos. Perhaps the issue may be Transdev's celebrated high standard of maintainence ?? 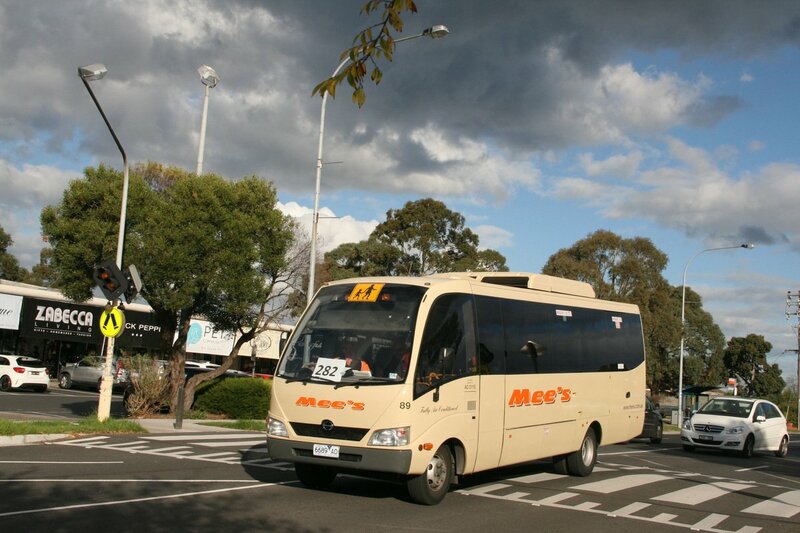 scott wrote: I travelled on a couple of Mees buses this week on the 280. According to the Transdev guide, they are having trouble getting parts for the Solos. Next time they might just consider buying something a bit closer to home. With Volgren at our front door (or Malaysia these days), why did Transdev go with a British bus anyway? A quick look at the Volgren website suggests that they don't offer anything in that size of bus. Bit hard to buy a bus model that doesn't exist. A quick look at the Bustech site suggests that they don't offer smaller buses either, and the current Custom site only refers to full size buses as well. Noticed Transdev bus 727 entering the CBD this evening with a new plain white livery. And the smartbus liveried fleet slowly depletes. Posters have appeared in Transdev buses advertising for drivers and mechanics. They are also advertising for an area manager in the west. 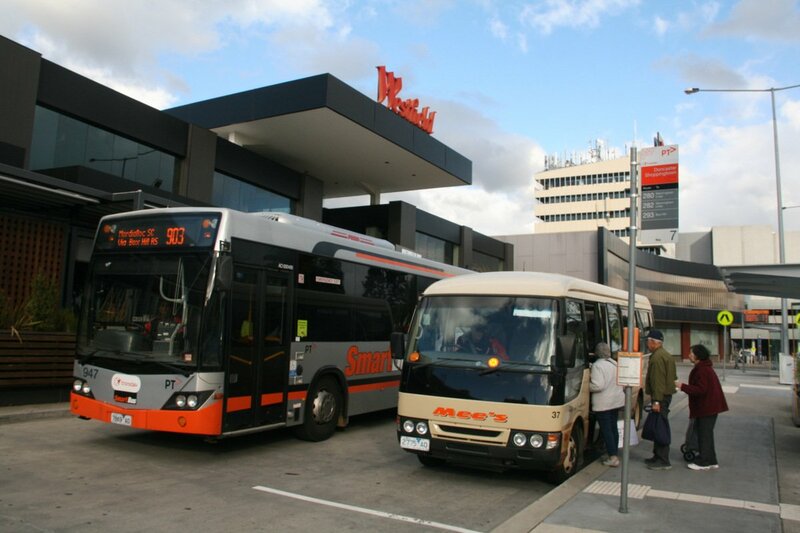 Read a posting on one of the WA based Facebook groups that Transdev Victoria have picked up a couple of ex Transperth 405NH's for Smartbus, they are 18 year old units and previously operated by PATH Transit (now owned by Keolis Downer). Have any of the Vic based members heard anything? I know a few have already made their way East, Nuline has picked up an ex Transdev unit. Transdev makes some odd fleet allocations sometimes, tonight was one of those when they allocated bus 117 (Gemilang/Scania K360UA artic) onto route 318 outbound to Deep Creek. Made for a spacious journey home, this is the only other 3xx series freeway route besides the 305 I have seen artics on other than DART 905/7/8 services. Seen arriving into the CBD this evening was bus 712 (MB O405NH, Custom 550) no longer in smartbus livery, now in PTV orange livery. Travelled on bus 730 (MB O405NH, Custom 550) today, which has been recently converted to a white livery. The bus has had all myki equipment removed. Although it still retains its smartbus PID. Merc's being transitioned into reserve fleet I presume with the recent Scania deliveries. Noticed bus 118 (Scana K360UA/Gemilang artic) had suffered fire damage (contained to rear) this afternoon at the Swanston/Lonsdale St inbound bus stop. Transdev buses 177 (BS03WL) and 178 (BS03 WT or XT) have both entered service, seen on multiple routes on Sunday. Looks like bye bye Transdev in 2021. Hopefully that means Ventura get their property back (if they tender). Alstom 888M wrote: The third head of TDM to fall since the contract started I might point out. If "property back" means depots randomly getting Designlines or CB30s to replace the older (but infinitely better) buses, let Transdev keep them! Mr.Horsley has certaintly had plenty of different positions with a number of operators but no real substantial time in any of those positions. Heihachi_73 wrote: If "property back" means depots randomly getting Designlines or CB30s to replace the older (but infinitely better) buses, let Transdev keep them!